Becoming Steve Jobs (2015) tells the story of the life and work of this tech genius. 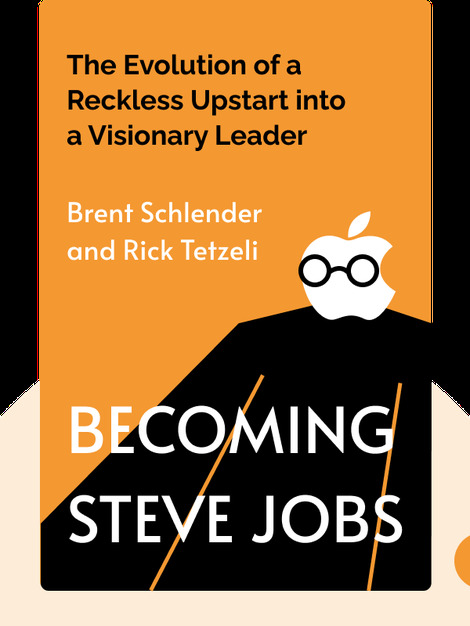 These blinks offer an inside look at the history of Apple, chronicle Jobs’s personal development, explore his early successes, as well as his failures, and lay out how his drive and innovation gave birth to revolutionary products, such as the iPhone. Brent Schlender covered Steve Jobs for the Wall Street Journal and Fortune for over two decades. 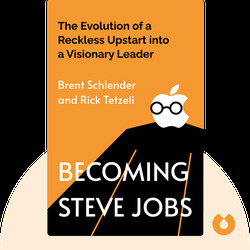 One of the main chroniclers of the personal-computer revolution, he interviewed Jobs on many occasions. Rick Tetzeli has written about technology for more than twenty years. He’s currently executive director of Fast Company, the editor of Entertainment Weekly and the former deputy editor of Fortune.